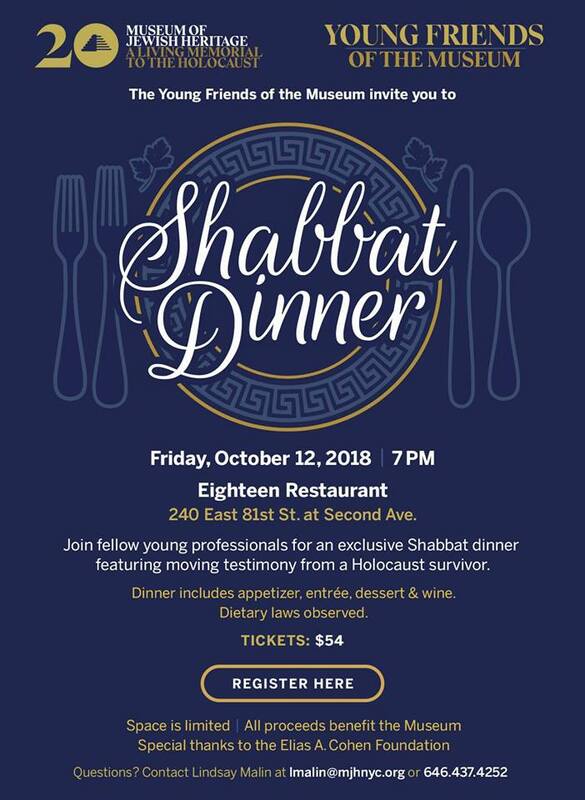 Join the Young Friends of the Museum for an exclusive Shabbat dinner featuring moving testimony from a Holocaust survivor. Dinner includes appetizer, entree, dessert & wine. Dietary laws observed.